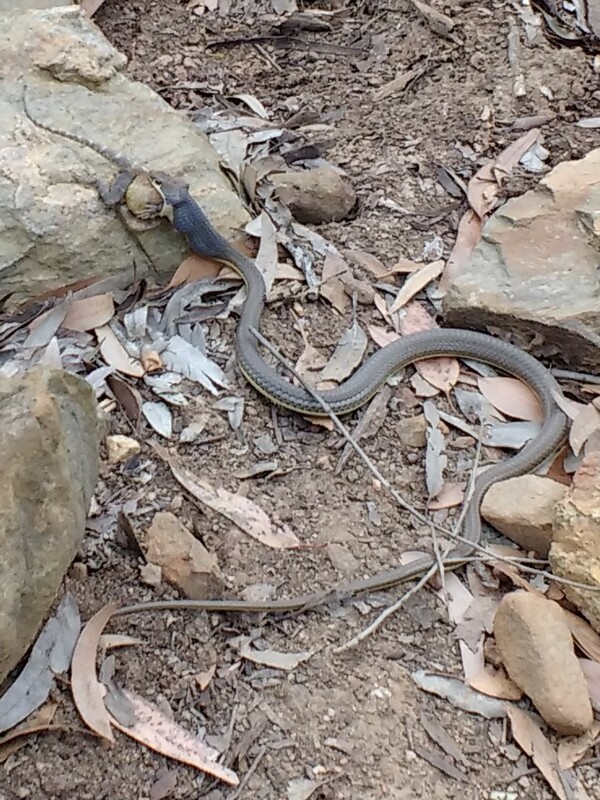 Friend of mine was cycling yesterday and came across this snake eating a blue headed lizard near Stellenbosch mountain yesterday. My knee jerk reaction was this it is a tabak rolletjie, but on closer inspection of the higher resolution photos I received today I'm leaning more toward a less common colouration of a Skaap steker, the head shape is ruling out Brown house snake unless I'm very much mistaken. 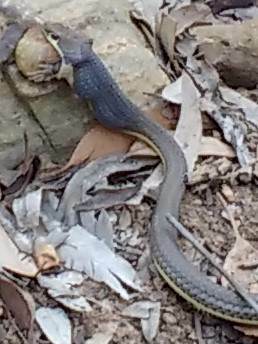 My only real concern here is the colour near the head that seems very intense blue or black, please help to identify. Maybe imgur is not blocked at work? I'm guessing its one of the Psammophis s.
>>I'm guessing its one of the Psammophis s.